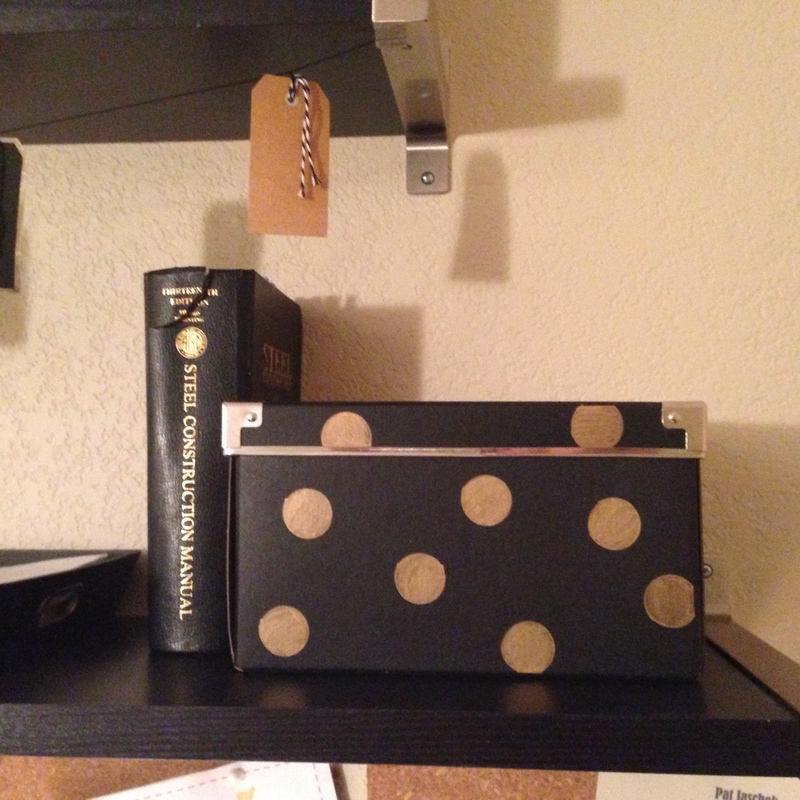 I’ve seen a whole bunch of Pins on Pinterest for “Kate Spade inspired storage boxes” and thought I’d try it myself. It was easy and looks great! 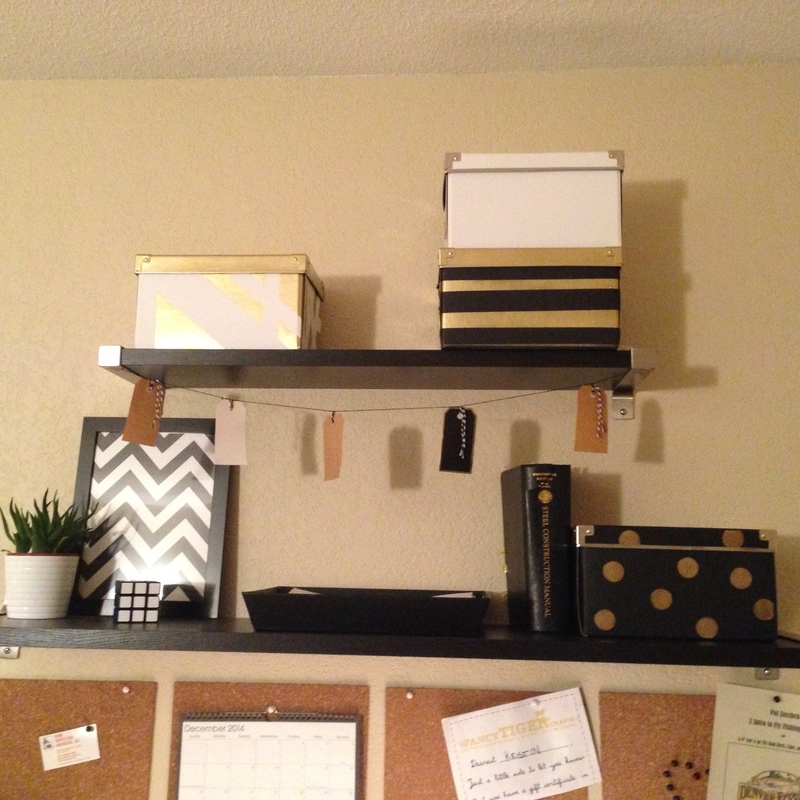 I made one box for about $4 which is a whole lot better than $54 for three boxes from Kate Spade. 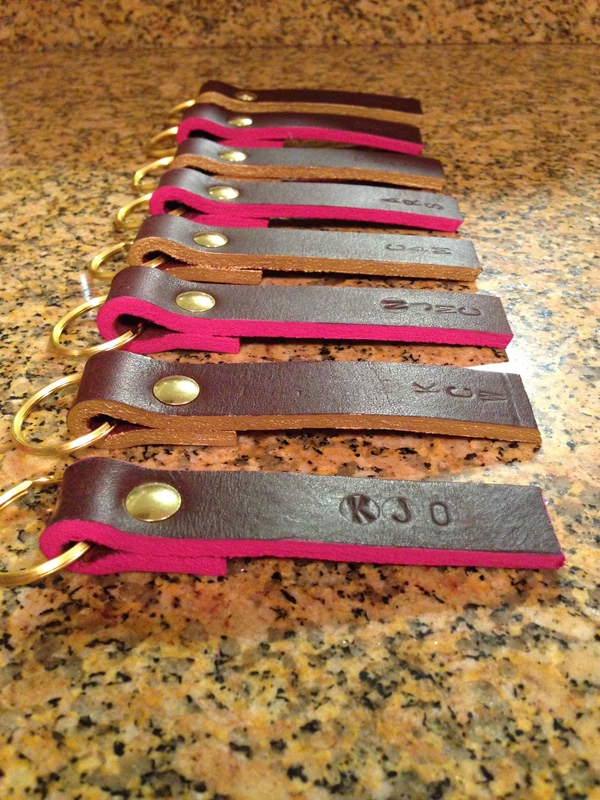 I wanted an inexpensive and heartfelt gift to give this holiday season and decided on leather keychains. They’re very easy, take about 10 mins to make, and cost less than $5! 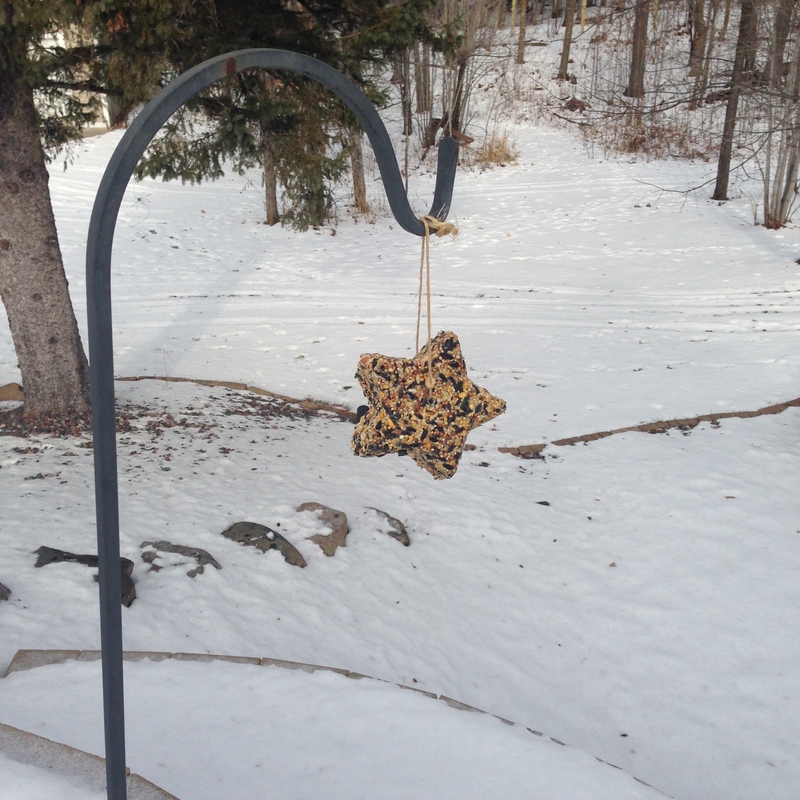 This weekend I made suet bird feeders and am planning to give them as holiday gifts! They took 10 minutes to make and two hours to cool. 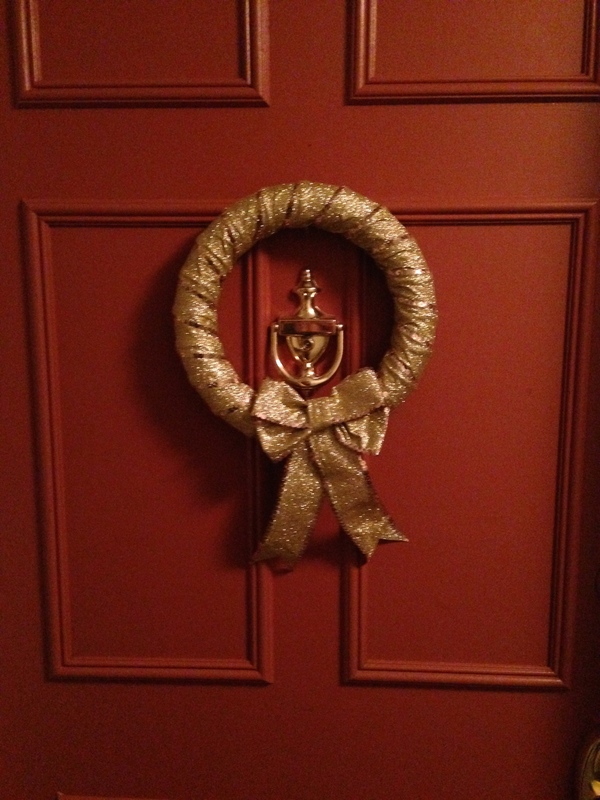 I made myself a wreath! It cost about $8 and took 20 minutes. 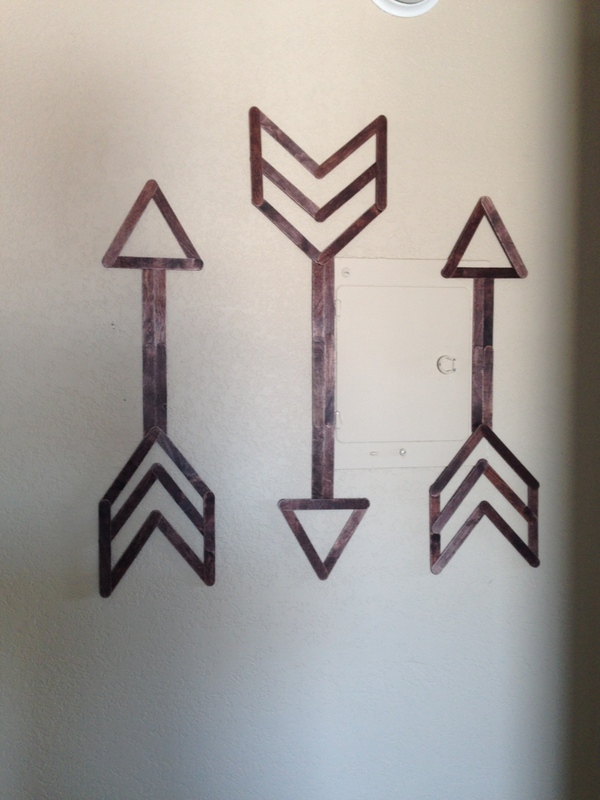 I found a solution for the hallway wall – popsicle sticks! I saw this post, on the blog Be Still Life, about popsicle stick art and gave it a go myself. 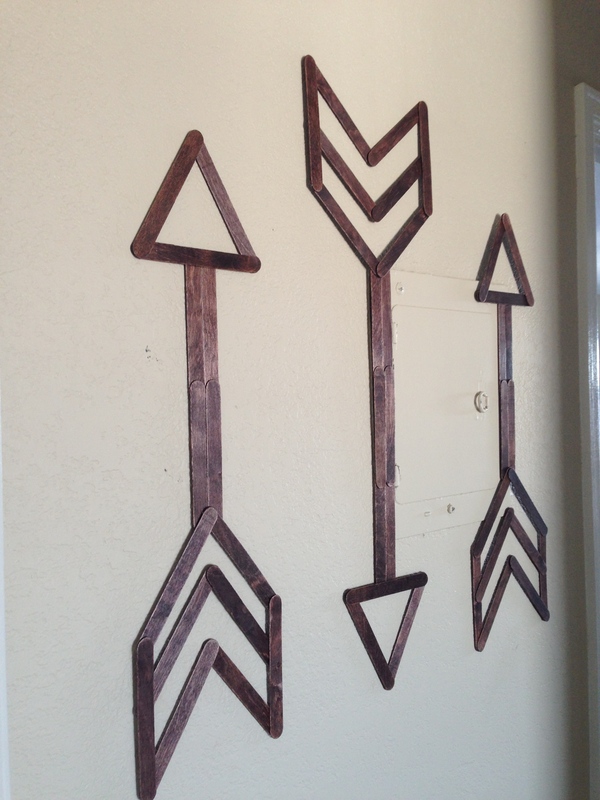 She painted the sticks then hung them, I stained the sticks then stuck them. The whole project cost me about $3 because I had a majority of the materials. 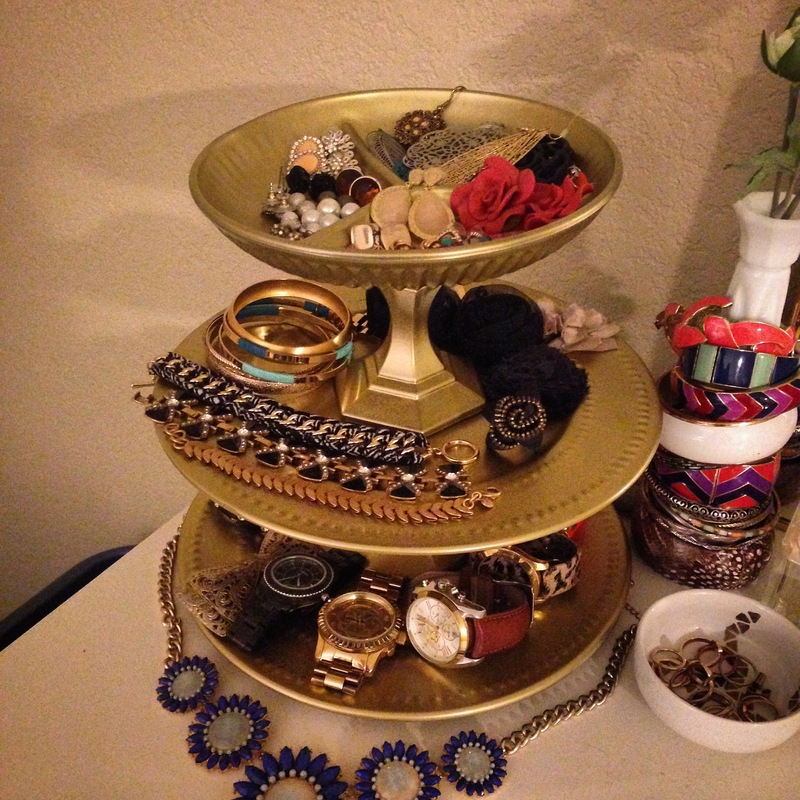 Today I made this cheap and easy jewelry holder for $5 and you can too!